Manufacture for RS485 data connections. 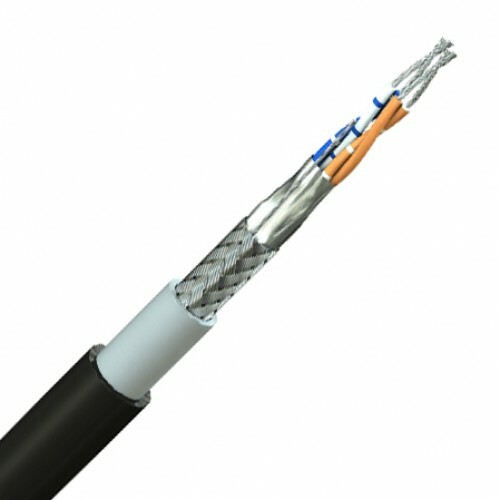 High speed and interference free data transmission due to combination of low capacitance insulation with the highest levels of screening. Low Smoke Zero Halogen versions are also available. Materials for insulation and sheath can be replace by those that do not emit halogens and toxic smoke. Tinned copper conductor 24(7) AWG 0,22mm2, polyethylene insulation, twisted into pairs, overall aluminium/polyester foil screened, tinned copper drain wire (24AWG), overall tinned copper braid (90%). PVC sheath. † Single pair SC2401POHP is supplied with blue & white cores as standard or black & white cores as special order. Please specify if you have a preference at time of order. UL style numbers are given for cross-reference purposes only. 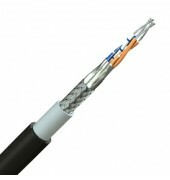 Not all the cables on this page are tested to or approved by UL. If you require UL approved versions please tell us when you first enquire.